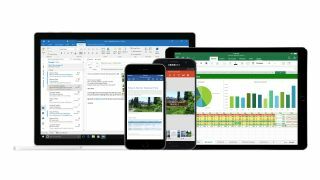 Microsoft has announced that three new apps are now available for Office 365 Business Premium, as well as Microsoft 365 Business, the latter of which has moved out of testing and is now available to everyone. The three new business apps in question are Microsoft Connections, Microsoft Listings and Microsoft Invoicing. Connections facilitates the management of email marketing campaigns, and Listings pertains to managing online listings to better build brand visibility, with Invoicing allowing you to more easily take care of payment and invoicing matters. As mentioned, these fresh app offerings are available to Office 365 Business Premium users in the UK, US and Canada, along with those who have just adopted Microsoft 365 Business as it hits general availability. Microsoft 365 Business comprises of the Office 365 suite combined with Windows 10 alongside various security and mobile device management features. It’s aimed at SMBs with up to 300 staff members. Microsoft further mentioned that a new app to help front-line workers manage their daily tasks, by the name of StaffHub, is also included in both of the above products. The software giant also has another spin on its Microsoft 365 product, namely Microsoft 365 Enterprise, which combines Windows 10 Enterprise with Office 365 Enterprise, and also throws in its Enterprise Mobility + Security suite.